While Sam and I both have work in this kiln and use some of the same materials, our results are totally different. One thing we both like about this process is that sometimes the pieces come out of the soda kiln awesome and sometimes - Meh. It may be a lot of uncertainty, but it's worth it. This is what I am always telling my ceramics students - there is always another step, and almost always another chance. 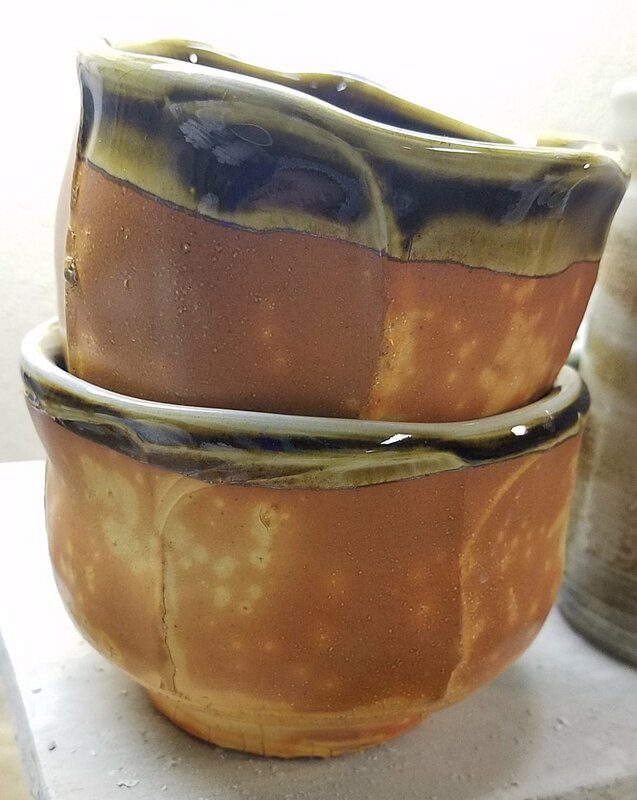 Sam calls these "2nd chance pots." After they come out of the kiln we draw onto the surface with underglaze. 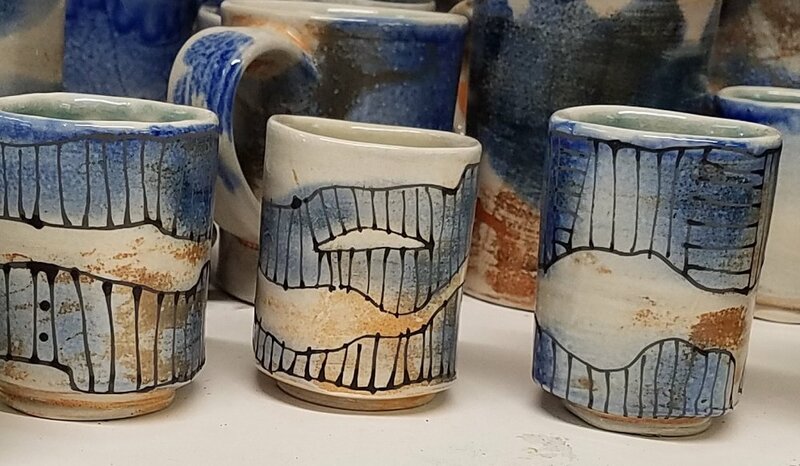 Sam doesn't know what the drawings will depict until he sees the pieces after the soda firing, then he reacts to the surface and glaze oddities. I try to be loose with my designs, reacting to the atmospheric effects from the stains, though I have an idea of what will happen from the beginning. 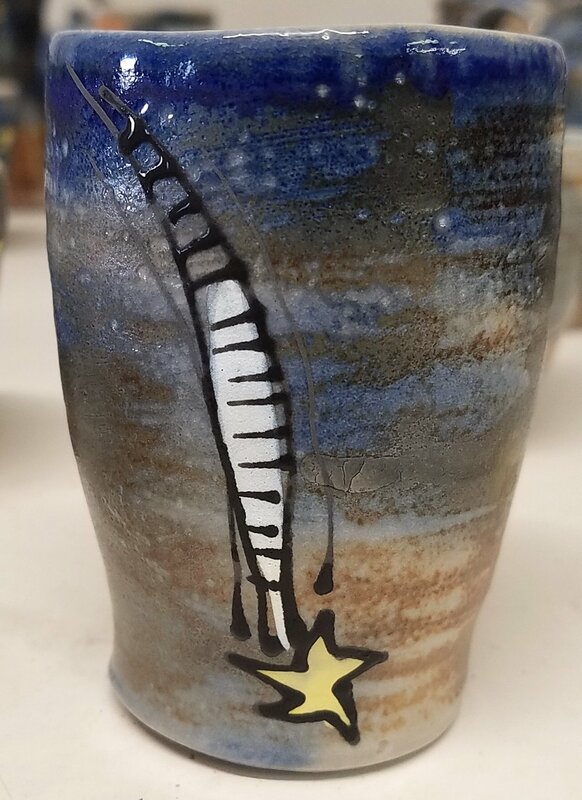 Sometimes there are strange glaze or surface flaws that I can work in (shooting star on right.) This is pretty loose for me, but my drawings are always tighter than Sam's crazy ideas. Still not done! 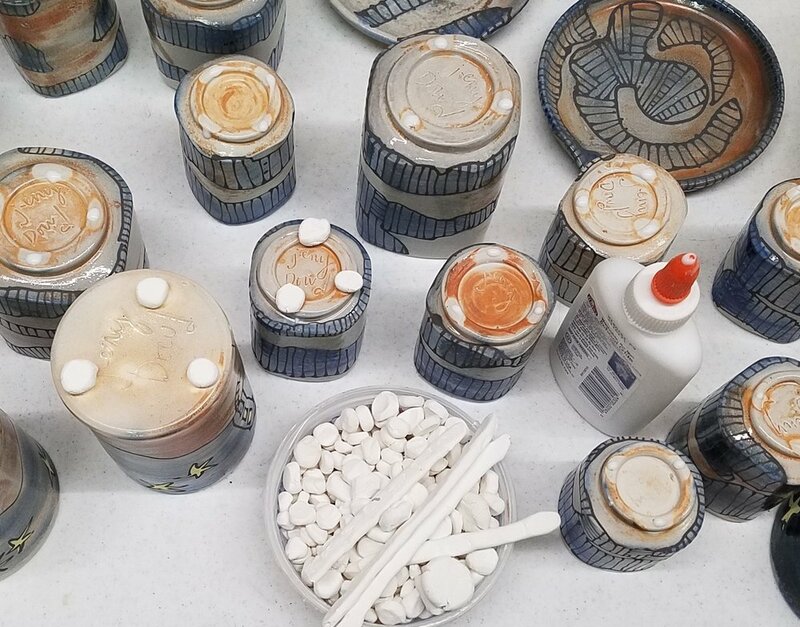 Now that the underglaze drawings are dry, it's time to re-fire the pieces. Remember how we had to add wadding to the base of the pots so they wouldn't stick to the kiln shelf? Well, that has to happen again. This keeps the pieces lifted up so the residual soda doesn't stick to the shelf when it remelts during the firing. I keep the bits of wadding so I can save time and resources by reusing them. 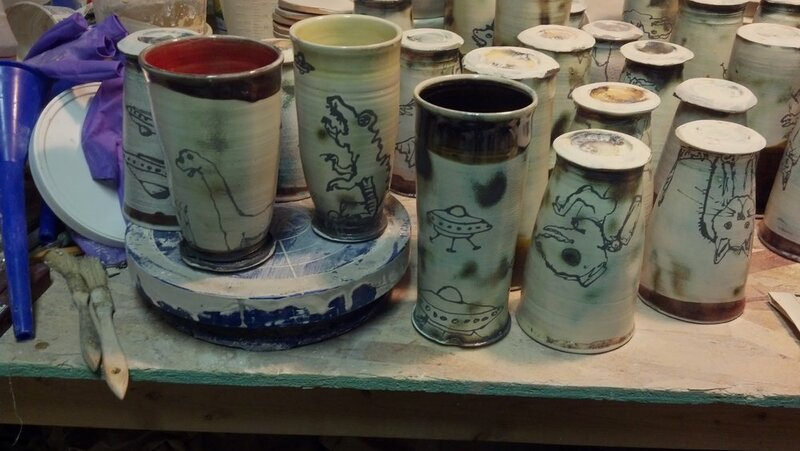 Here are a few, still warm from the kiln! All the work, all the little steps... totally worth it. I'll be adding a new tiny cup with a star to my cabinet today.